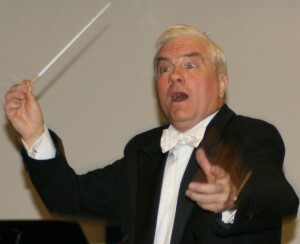 David Hansell became conductor of The Ripieno Choir in January 1996. He is a graduate of Durham University (first and research degrees), and also holds diplomas in organ playing and choral conducting. Although he freely admits to a particular enthusiasm for seventeenth- and eighteenth-century music, his repertoire is extremely wide-ranging, from Gregorian chant to new commissions. He writes regularly for the online magazine Early Music Review and has prepared many editions of otherwise unavailable music, especially compositions by Marc-Antoine Charpentier. David is also the author of Discover Choral Music, a CD/book combination published by Naxos which was recently translated into Korean! Now retired from school work, David is devoting himself anew to playing the organ and harpsichord, especially the works of JS Bach, and has hunted down an apparently lost work for four harpsichords by the virtuoso harpsichordist George Malcolm (1917-1997). He hopes to revive this in 2017 to mark the centenary of Malcolm’s birth. David is also an enthusiastic mountain biker (sometimes hazardously so!) but manages to avoid all but minor injuries. David retired from conducting The Ripieno Choir in June 2018. We wish him all the very best for his new endeavours, and thank him for everything he has done for the choir over his 22 year tenure. You can still read David’s blog.